16- 60in. Round Tables, 4- 6ft. Long and 4- 8ft. Long Tables and 184 Chairs Available for use. This policy will communicate the desires of the Village of Columbiaville Council to serve as a guideline to notify the facility users of items pertaining to the activities, lease agreement and rental restrictions. 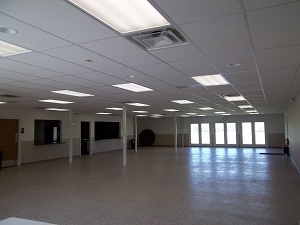 The Columbiaville Community Center and Banquet Hall is equipped and maintained to provide a gathering place to serve the community by providing residents access to the facilities for their use and for the use of public gatherings. Persons or groups may use the facility as the schedule allows, the Village Council has the right to authorize and/or limit the uses and types of activities to take place in the facility and set rental rates as desired. The Village Council reserves the right to change, amend, make exceptions to, revise or discontinue any policy, practice, rule or regulation set forth herein at any time at its sole and absolute discretion. In the event of an emergency, crises, or other unexpected business, the Village Council or authorized personnel reserves the right to cancel or change the scheduling of any activities as necessary. All reservations, permitted uses and scheduled events shall be the responsibility of the current Village Administrator. This position shall serve as the liaison to the Village Council in the event of a conflict, discrepancy or special request of the facility. All maintenance issues will be handled by the Village DPW or Janitor. 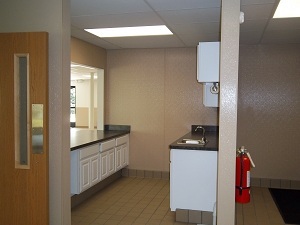 The janitor will review the facility before and after each event and report to the Village Administrator which will determine if a full deposit is appropriate. 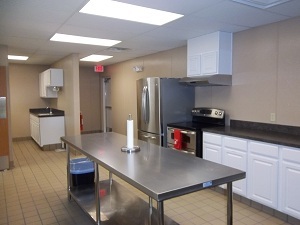 Any damage to the facility or extra cleaning will result in loss of deposit, additional charges will be billed for all replacement costs and fees associated with repairs. 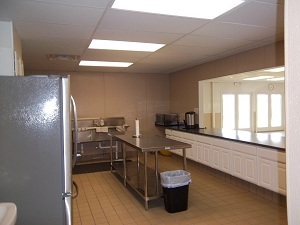 Signing a lease agreement is required by the person to be held responsible for the use of the facility. Upon signing the lease agreement, he/she acknowledges and accepts responsibility of the rules and rental fees explained in the lease agreement form. The Lease Agreement is an extension of this policy. Senior Activities, Wedding Showers, Anniversaries, Graduations, Birthdays, Baby Showers, Holiday Parties, Church Activities, Funeral Receptions, Non-Profit Groups, For Profit Individuals and Groups, Family Reunions, Political Groups, and Fundraisers. All others not listed are subject for approval with special permit. All activities are subject to rental fees; with certain exceptions. Reserving the hall one day prior or following will be an additional $ 75.00. Time begins at set up. Sunday rates are $200.00 for all day, unless prior booking. Janitorial Fees: $175.00 if needed. 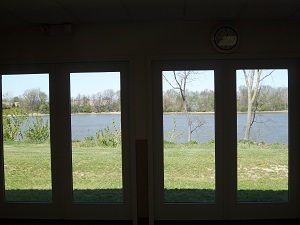 Any local non-profit organization that wishes to rent the hall during the weekdays or weeknights (Monday – Thursday) shall pay an hourly rate of $10.00. Monday – Friday shall pay $15.00 an hour for rental, must do all cleaning related to activity; sweeping, moping, bathrooms, and wiping down area. Any fundraising activity is primarily for the purpose of raising funds for the Village of Columbiaville, the purpose of the donation if one is to be specified, must be approved prior to hall rental. The individual or group hosting the event will pay the applicable rental fee OR 25% of the gross profits made by the event, whichever is less. The deposit for the event will be paid as indicated in the Lease Agreement. All other rules remain in effect. shall pay $250.00 for rentals, includes cleaning. Families must remove all food related items, however.